NEW YORK, Jan. 22, 2019 -- As decision-makers deal with making sense out of an ever-growing, endless stream of data, top among the strategic initiatives for organizations in 2019 will be enhanced dashboards, automated reporting and augmented analytics. 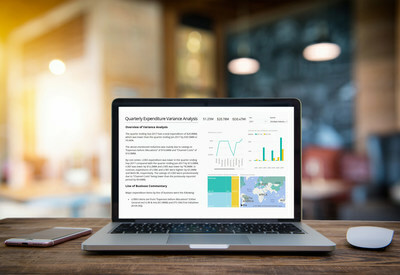 Arria NLG Studio for BI 2.0 gives data analysts the ability to create Business Intelligence (BI) dashboards that are simpler and faster to interpret by instantly generating expert narrative from the entire data-set to accompany the visuals. The natural-language narratives provide faster, better-informed decisions as decision-makers can now understand the entire data-set and see insights in natural human language that may otherwise have been missed or misunderstood in the visuals.